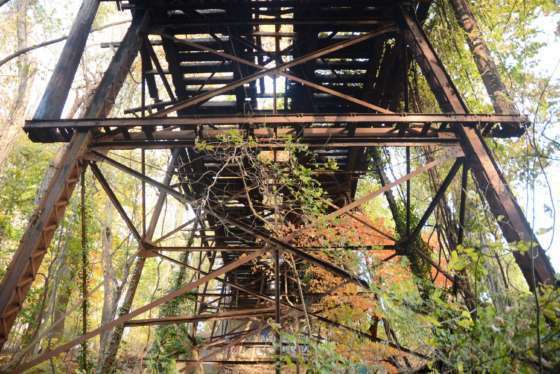 The 120-year-old Foundry Branch Trolley Trestle, in Northwest D.C.'s Glover-Archbold Park, was part of a line that was abandoned after D.C.’s streetcars stopped running in the 1960s. WASHINGTON — A 120-year-old streetcar bridge, the last of its kind still standing in D.C., could be torn down. The Foundry Branch Trolley Trestle in Glover-Archbold Park in Northwest, is owned by Metro. It was part of a streetcar line that used to carry people between D.C. and the Glen Echo Park amusement park that was abandoned after D.C.’s streetcars stopped running in the 1960s. Now, Metro has applied for a permit to have the trestle demolished. No action will be taken anytime soon because the permit application has to go through a review and public comment process. 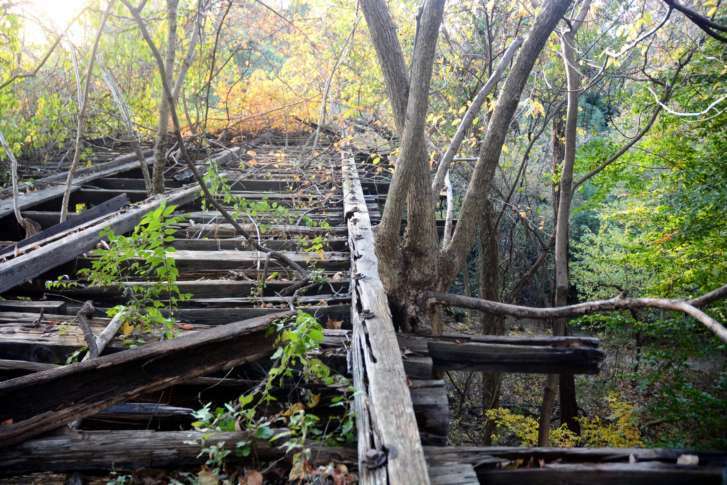 For years, the D.C. Preservation League has had the bridge on its list of most endangered places in the city. League director Rebecca Miller said it is possible that the trestle could be restored for use by hikers and bicyclists. “DDOT has offered to do a study on keeping the trestle and (assessing) its current condition, and WMATA’s response to that was to file this application for demolition. So, we don’t see that as working in good faith with other parties involved,” Miller said. District Department of Transportation spokesman Terry Owens said his agency is still planning a feasibility study. “Also, under the (D.C. Historic) Preservation Act, there is a requirement to show alternatives to demolition, and obviously WMATA has not looked at that, given that DDOT hasn’t had the opportunity to do their study yet,” Miller added. The Preservation Act applies in this case, according to Miller, because the bridge is a contributing structure within the Glover-Archbold Park Historic Area.